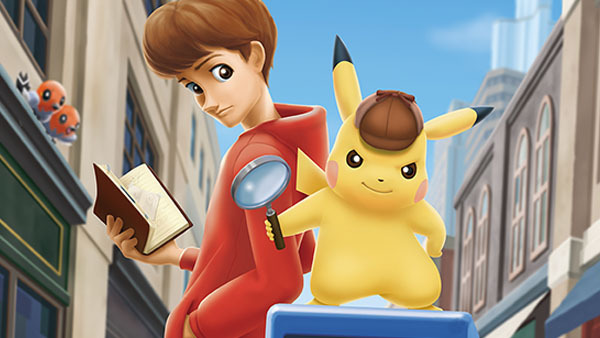 Ever thought what Pokemon might need is a heaping helping of detective work and a talking Pikachu? You're about to get your wish with the announcement of Great Detective Pikachu: Birth of a New Combination for 3DS. This is an officially sanctioned release from The Pokemon Company, before you start getting any ideas about it being fake, and it's already being released on February 3 in Japan as a Nintendo eShop title. Players can begin preloading the game starting tomorrow. It's a cinematic adventure featuring Pikachu as the star as he teams up with a little boy named Tim in order to solve a mystery. It looks like Pikachu also has a very masculine voice this time around, which is, well, bizarre. It's also extremely adorable, and I really want to unravel mysteries with Pikachu at my side. Now let's just hope we see this game getting a western release.